This home backs to open space! This is an open floor plan that lives well and easy. The CALI will definitely be a place you call home with a huge master closet and one story living. The convenience of buying a new home with the most recent standards and technology make this home not only beautiful but energy efficient. 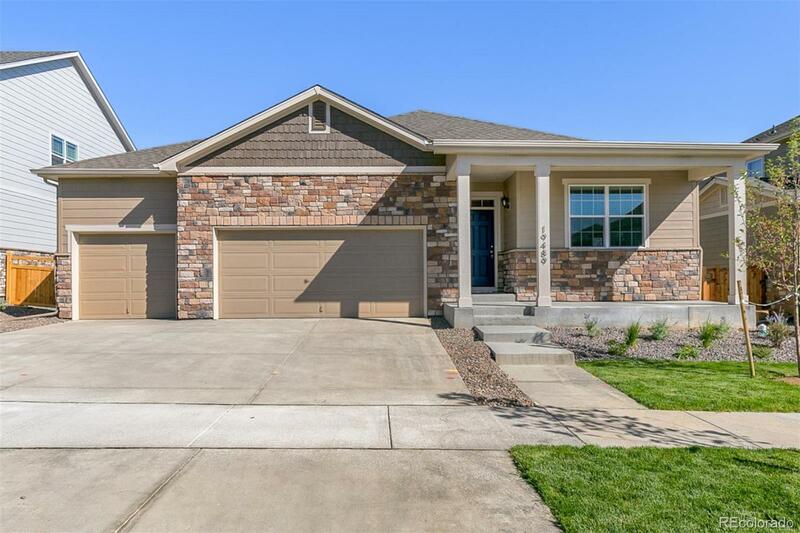 This home also includes full front and backyard landscaping, air conditioning, window blinds, stainless steel appliances, twilight cabinetry, hardwood flooring with a large unfinished walkout basement and so much more! With quick access to DIA and the Light Rail, High Point is a commuters dream! This home is move in ready! Call to schedule your personal tour today.